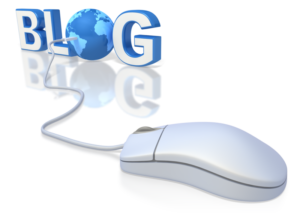 A blog is a website with entries (posts) that appear in reverse chronological order. The most recent entries appear first. Blogs include features like comments and links to increase user activity. You create a blog using specific publishing software. The internet has become more social increasing the popularity of the blogs. There are more than 100 million of them with the most popular bloggers making an enormous impact in the society, business and politics.It is essential to create blog website as it is a way to access these gains. Blogging is an excellent way of showing your skills by providing readers with professional advice in your area of specialization or several of them. 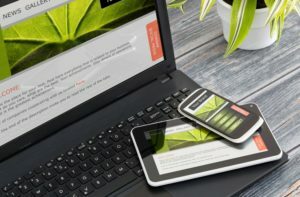 If you are in ICT consultancy, you will use a blog to pass knowledge that will help the reader with interest in your services and products to achieve something. It is advisable that you keep you writing to subject that you know best and with much relevance to the audience. Blogging has many benefits when you want to increase chances of a high appearance on the search engines such as Google or Bing. By publishing new content regularly, it will remind the search engines of your existence. It also adds new pages to your site. Every time another blogger or website links to your post, the rank of your site on the search engine is going to increase. Search engines are not the only ones that take notice when you are blogging. Sharing posts on the social media exposes the skills and knowledge you possess to a larger professional community. You might capture the attention of the readers on social sites such as Twitter, Face book and LinkedIn. When you generate more traffic from the social media, it will also impress the search engines. More traffic to your website means a higher ranking, and with time, you will be on the first page. Content marketing creates awareness. You can design the content of your blog to generate interest in your company. You can do this by entertaining the readers or communicating beneficial information without requiring for something in return. Such custom content for target audience will over time become something that cannot miss and attract new visitors without any paid advertising. If you are consistent in providing interesting information to a broad audience, it makes more people learn about your brands and boost your reputation. If for example, you are a marketer, you write a blog article on “the best ways to market your website.” Somebody who is searching for information on the subject can find the article on Facebook, Twitter or Google and notice that your website. The reader who read the article will think about you weeks or months later when searching for a product marketer and will contact your service. You can create a blog website to expand the networking opportunities with your professional peers. Through your blogs, you can establish your expertise and expand online reach. Blogging is a chance to expose content to a broader readership. That will help you to know about further opportunities. Whether you run a small or larger company, blogging will demonstrate your knowledge. Your peers will find it interesting, and when you keep posting more, it will establish a connection. The more you connect, the more you get to know about new opportunities especially if you will integrate blogging efforts with social networking. If you have a popular blog, people will make comments, and it shall increase the number of new readers some of whom are potential customers. Clients generate significant traffic allowing you to capitalize on the blog to inform your community of readers about new products or services. You may also find ways to take increase revenue by signing up for an affiliate program for additional income or sell guest posts on the blog to aspiring writers. It also helps you to stay in content with the past and present clients. You can track readers’ favorite topics, comments, shares, and click-through. You can even determine the day of the week when your website gets the most visitors.